2ND TENNESSEE CAVALRY REGIMENT, U.S.A. Organized in East Tennessee July to November, 1862; original muster rolls destroyed at Nolensville, December 30, 1862; re-mustered at Murfreesboro, January 26, 1863; mustered out at Nashville, July 6, 1865. Lieutenant Colonels-William R. Cook, William F. Prosser. Majors-George W. Hutsell, Will R. Mc-Bath, Charles Inness, William F. Prosser. Solomon Irick, John H. Byrd, Co. "A". Organized at Jacksboro, Campbell County, August 1, 1862; moved to Cumberland Gap. Thomas A. Jones, Co. "B". Organized at Sevierville, Sevier County, August 15, 1862; ordered on duty at Cumberland Gap, August 21, 1862; moved to Lexington, Kentucky, September 30, 1862. John M. Raines, James H; Knight. Co. "C". Organized at Cumberland Gap, Claiborne County, July 27, 1862. Re-organized at Covington, Kentucky, November 15, 1862. Thomas Stephens, Aaron G. McReynolds, Moses L. McConnell, Co. "D". Organized at Maryville, Blount County, September 1, 1862; moved to Lebanon, Kentucky. John Henry, Co. "E". Organized at Sevierville, September 16, 1862; moved to Lexington, Kentucky, September 30, 1862; to Gallipolis, Ohio, October 1, 1862. James H. Walker, Co. "F". Organized at Maryville, August 1, 1862; moved to Cumberland Gap. Charles S. Berry, William Odle, Robert N. Hood, Co. "G". Organized at Maynardyille, Union County, October 1, 1862; moved to Nicholasville, Kentucky, November 12, 1862. Sam P. Rowan, Theophilus F. Wallace, Co. "H". Organized at Maryville, October 10, 1862; moved to Nicholasville, Kentucky, November 3, 1862; to Louisville, Kentucky, November 6, 1862. George W. Gorman, Co. "I". Organized at Sevierville, September 22, 1862; moved to Lexington, Kentucky, October 1, 1862; to Louisville, Kentucky, November 5, 1862. William W. Montgomery, James A. Montgomery, Co. "K". 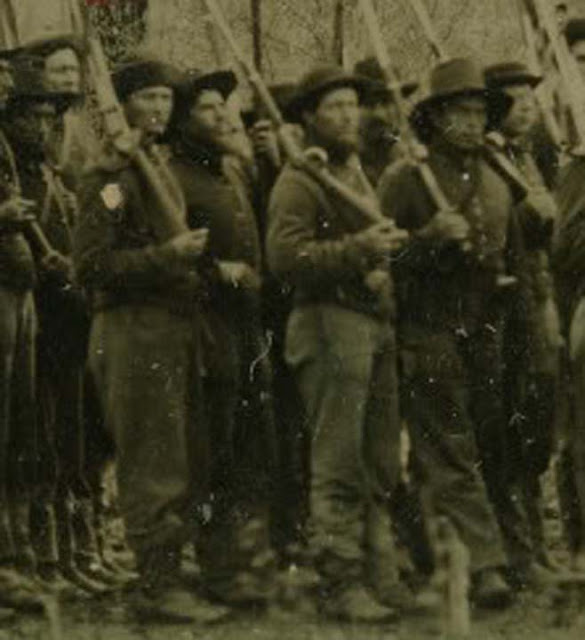 Organized at Cumberland Gap, August 15, 1862, with 56 men; reorganized at Lexington, Kentucky October 16, 1862 with recruits who had marched from Sevierville; and moved to Gallipolis, Ohio, October 20, 1862. James H. Morris, James H. Knight, 1st Co. "L": Organized at Cumberland Gap, August 25, 1862, with men from Anderson and Claiborne counties; re-organized at Covington, Kentucky, November 15, 1862; moved to Louisville, Kentucky, November 18, 1862; consolidated with Co. "C", January 19, 1864. James M. Henry, 2nd Co. "L". Recruited at Maryville, Tennessee, September 8, 1863; mustered at Knoxville, October 12, 1863. Originally organized for 4th Tennessee Infantry Regiment; transferred to 2nd Tennessee Cavalry January 19, 1864. Robert A. Montgomery, Elknah M. Wynne, Co. "M". Organized at Sevierville, November 8, 1862; moved to Nicholasville, Kentucky, November 20, 1862; to Louisville, Kentucky, November 22, 1862. Colonel Ray was previously Adjutant of the 3rd East Tennessee Infantry; Major McBath was formerly a captain in the 1st East Tennessee Cavalry; and Major Hutsell a captain in the 3rd East Tennessee Infantry. Companies "A", "B", "C", "F", "K", and 1st Co. "L" first saw duty under Brigadier General George W. Morgan, commanding the 7th Division, Army of the Ohio, at Cumberland Gap. General Morgan evacuated Cumberland Gap on September 16, 1862, and retreated through Kentucky to Gallipolis, Ohio. Field officers were appointed on September 1, 1862, and all the companies of the regiment assembled for the first time at Louisville, Kentucky in November, 1862, at which time the regiment was assigned to the Cavalry Division, XIV Army Corps, Department of the Cumberland. 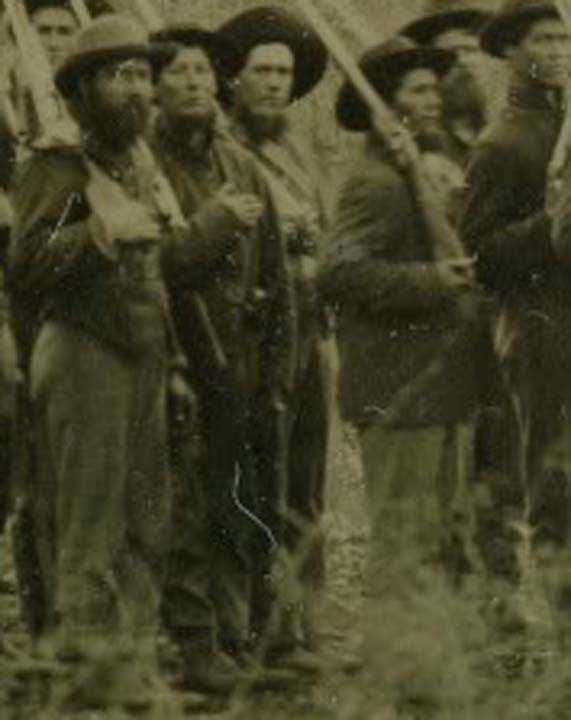 The first record found in the Official Records was October 31, 1862, when the 1st East Tennessee Cavalry, Colonel R. M. Edwards, and the 2nd East Tennessee Cavalry, Colonel William R. Cook, were listed as the cavalry attached to the District of Western Virginia. Colonel Edwards' regiment was later known as the 4th Tennessee Cavalry. On November 14, 1862, an order was issued from Headquarters Department of the Ohio, Cincinnati, Ohio, directing that these same two regiments, described as incomplete cavalry organizations. "on arrival at Cincinnati:, will proceed via Bowling Green, Kentucky, to report for duty to Major General W. S. Rosecrans, Department of the Cumberland." On November 17, Brigadier General James G. Spears, at Louisville, Kentucky, reported: "I am here with residue of my command, 5th Tennessee Infantry, 1st and 2nd Tennessee Cavalry. Second Tennessee has 1030 men. Colonel Cook's 1st Tennessee, Colonel Edwards says 300." Apparently, General Spears got the numbers of the regiments reversed and meant to report Colonel Cook's 2nd Tennessee with 300 men. On December 4, 1862, Major General H. G. Wright advised General Rosecrans: "The 1st and 2nd East Tennessee and part of the 5th, are still at Louisville, awaiting transportation to join you." In the reports of the campaign around Murfreesboro, Tennessee, December 26, 1862 - January 5, 1863, the 2nd Tennessee under Colonel Daniel M. Ray, suffered 18 casualties, as part of the Reserve Cavalry, under Major General D. S. Stanley, XIV Corps, Army of the Cumberland. It was assigned to cover the Right Wing, Major General A. McDowell McCook's command, and Colonel Lewis Zahm, 3rd Ohio Cavalry, reporting on an attack by the Confederates at Overall's Creek on December 31, stated: "The 2nd East Tennessee broke and fled like sheep." On January 31, 1863, Colonel Robert G. Minty was in command of the 3rd Cavalry Brigade, composed of the 4th U.S., 400 men, 2nd Tennessee, 200 men, and 3rd Tennessee 40 men. In a skirmish at Middleton, on that date, the 2nd Tennessee captured Major DeWitt C. Douglass, one captain, one lieutenant and 41 men from Douglass' Battalion, Confederate Cavalry. The regiment took part in the scouting and skirmishing around Murfreesboro the first half of 1863, including the fight at Franklin on April 10 with Confederate forces under General Van Dorn. Colonel Ray reported one killed and six wounded from the 2nd, and continued: "Resumed march on the 13th for Murfreesboro, burning on the way 10 dwellings and outhouses belonging to persons who had sons in the Confederate Army, as per orders of Major General Stanley." On June 30, 1863, the regiment was reported in Colonel Edward M. McCook's 2nd Brigade, Brigadier General Robert B. Mitchell's 1st Division of the Cavalry Corps under General Stanley. In the operations which resulted in pushing General Bragg's army back from Tullahoma, through Chattanooga, into North Georgia, the 2nd Tennessee operated in the country around Winchester and Sewanee, and on July 16 was ordered to Stevenson, Alabama, to guard the bridges. 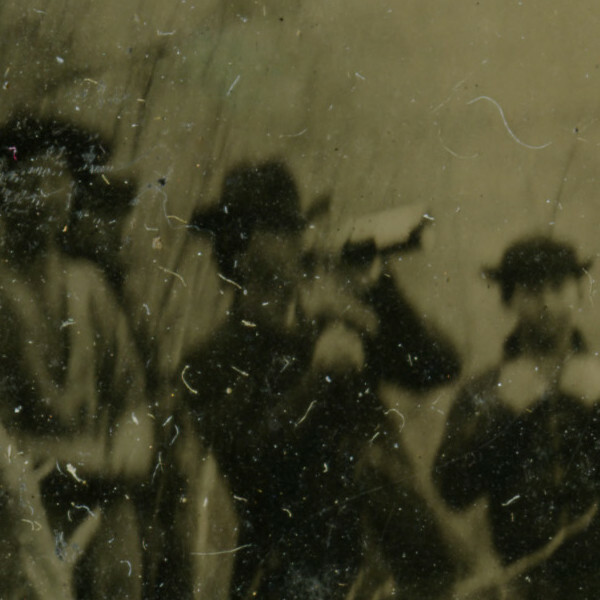 On August 23, it was ordered to Jasper, Tennessee, and on the 31st, in a scout to the point of Lookout Mountain, two miles from Chattanooga, it captured Confederate agent R. L. Hawkins, with $2736.50 in Confederate money. During the battle of Chickamauga, September 19-20, Colonel McCook was in command of the division, Colonel Ray of the 2nd Brigade, and Lieutenant Colonel Cook of the regiment. The Brigade was not heavily engaged, but had some fighting at Crawfish Springs in support of Major General McCook's division, and on September 20 covered the withdrawal of the trains to Chattanooga. Following the battle, the regiment was sent to Jasper, to guard the fords, where on September 30 it reported an aggregate of 407 men. It remained on guard at the fords across the Tennessee River during Major General Joseph Wheeler's raid in October, 1863. On November 17, 1863, Major General Washington L. Elliott, now commanding the 1st Division, ordered Colonel Ray, with his regiment, to "proceed to Kingston, and aid Colonel Byrd, or whoever may be in command at that place." If he found he was not needed he was directed to return to his present post. Evidently his services were not needed for long, for on December 19, 1863, the regiment was at Lebanon, when Major General W. Sooy Smith, Chief of Cavalry, requested that the regiment be ordered to report to him immediately at Nashville, where he was organizing a force to cross into West Tennessee to operate on the flanks and rear of General Forrest and drive him from West Tennessee. The expedition left Nashville December 28, 1863, but by the time it reached West Tennessee, Forrest had withdrawn into North Mississippi, and General Smith and his forces went on to Memphis, and to Collierville, Tennessee. Here, on January 10, 1864 Major General William T. Sherman reported he found General Smith with about 2500 cavalry who had been in pursuit of General Forrest. Sherman arranged with Smith for a joint expedition against Meridian, Mississippi; one column of cavalry under General Smith to move from Tennessee, while he, Sherman, led another column from Vicksburg, Mississippi. The plans were for General Smith to leave Memphis on February 1, but Smith was ten days late, and did not get started until February 11. After getting as far as West Point, Mississippi, under harassment from General Forrest, he gave up the idea of reaching Meridian, and started back for Memphis, and, at Okolona, Mississippi, on February 22, was badly beaten by General Forrest. General Smith, in a letter to General Sherman, describing the campaign, wrote that at Okolona, the 2nd Tennessee Cavalry, which had been acting as the rear guard of the column, "stampeded and galloped over our rear guard, and drove a little battery of pop guns into the ditch. They spread confusion everywhere, and the Rebels, taking advantage of it, pitched into us and gave us a pretty rough handling." In this engagement, Lieutenant Colonel Cook was severely wounded and, along with 15 others, captured. Major McBath, in his report, stated the regiment had 275 men engaged, blamed the disorder on the 4th U. S. Regular Cavalry, and claimed his officers and men "deserved credit for cool conduct and good behavior under most trying circumstances." According to his report, the 4th U. S. was the last regiment in the column, and under a flank attack from the Confederates, broke and charged over his regiment, which was thus thrown into confusion. After reaching Memphis, the 5th Kentucky, 2nd, 3rd, 4th Tennessee, and 72nd Indiana Mounted Infantry, all of which had been in General Smith's column, were ordered on February 27 to proceed to Nashville via Fort Henry. On April 30, 1864, in the reorganization of the Cavalry Corps, the 2nd, under Lieutenant Colonel William F. Prosser, along with the 3rd and 4th Tennessee Regirnents and Battery "A", 1st Tennessee Light Artillery, were placed in the 1st Brigade of Brigadier General Alvan C. Gillem's 4th Division. The regiment remained on duty around Nashville until June, when the division was placed in the District of North Alabama under Brigadier General R. S. Granger. 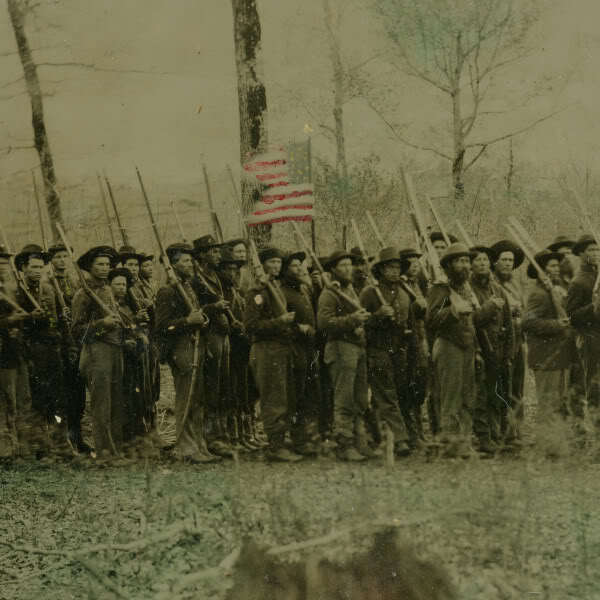 On August 8, the regiment was at Pond Springs, Alabama, with Lieutenant Colonel Prosser commanding the 1st Brigade, and Major McBath the regiment. General Granger, in reporting on the operations of his command during General Joseph Wheeler's raid in August and September, 1864, stated he sent the 2nd Tennessee to Athens, Alabama, and that they attacked and drove from the railroad Brigadier General Philip D. Roddey's forces at Sulphur Trestle on September 2, 1864. With General Granger's forces, the regiment took part in the skirmishing with Wheeler's forces in Middle Tennessee until September 7, when the pursuit of Wheeler was broken off at Lexington, Alabama. About 200 men from the regiment, under Major McBath, were at Athens, Alabama, when that point was attacked by Brigadier General Abraham Buford on October 2, and Major McBath was commended for his part in repelling that attack. On October 8, 1864, the regiment was reported as having 320 men present for duty, 200 with Brigadier General James D. Morgan, 120 at Decatur, Alabama. It was engaged in patrolling along the Tennessee River during October and early November. On October 25, Major General George H. Thomas, reporting to General Sherman on the forces available in his district, stated: I have the 2nd, 3rd, 4th, 5th, 10th and 12th Tennessee Cavalry, aggregate about 1800 (but little better than militia)." 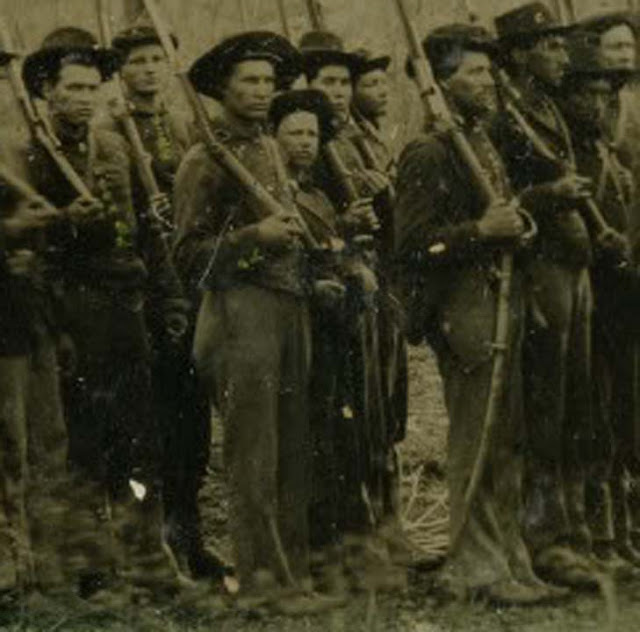 On November 17, the regiment was reported at Decatur, Alabama, with 345 men, but only 152 mounted. It was still at Decatur on November 26, when that point was attacked by General John B. Hood's army. General Granger, in his report, commended "the admfrable conduct of Lieutenant Colonel Prosser, commanding 2nd Tennessee, and 10th Indiana, who stubbornly resisted the advance of the enemy, and handled his small force very skillfully." On November 30, Major General James H. Wilson, who had been placed in command of all the Cavalry forces in Middle Tennessee, in the Military Division of the Mississippi, organized the 7th Division of Cavalry, and the 2nd Tennessee was placed in the 1st Brigade of this division. On December 7, under Lieutenant Colonel Prosser, the regiment was at Paint Rock Bridge, Alabama. In the battle of Nashville, December 15-16, Lieutenant Colonel Cook was back in command. The regiment was not engaged on the 15th; on the 16th, it was stationed on the Hillsboro Pike, and when the Confederate lines were broken, joined in the pursuit, and was engaged on the 17th at Hollow Tree Gap; on the 25th at Anthony's Hill; and on the 26th at Sugar Creek. On December 28, a detachment, under Lieutenant Colonel Prosser, was with Brigadier General James B. Steedman at Decatur, Alabama, and was engaged with Roddey near Courtland, Alabama on the 31st; at Russellville, Alabama on January 4 it took part in the burning of General Hood's pontoon train, and retrirned to Decatur, Alabama on January 6. Meanwhile, on January 2, Major General Wilson ordered the regiment to be concentrated, the dismounted men sent to Nashville, and the mounted men to join their regiment at Athens, Alabama. In this connection he wrote: "The reckless and ill advised system of scattering the cavalry of this division in small squads over the country has been productive of more harm than good." 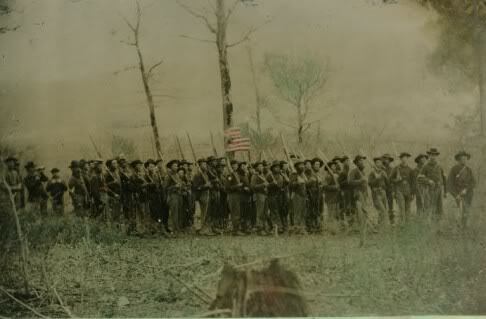 The 2nd and 4th Tennessee, and the 9th and 10th Indiana Regiments, were placed in the 1st Brigade, 7th Division at Gravelly Springs, Alabama on February 3, 1865. The 7th Division was ordered to New Orleans, to report to Major General E. R. S. Canby. Provision was made for remounting the 1st Brigade, and the order specified that "as soon as the 1st Brigade is entirely mounted, it will be held in readiness to move to Eastport to embark." On February 28, it was reported as enroute to the Military Division of West Mississippi, with headquarters at New Orleans. On April 30, 1865, Colonel George W. Jackson's Brigade, Department of Mississippi, at Vicksburg, was composed of the 9th Indiana, four companies 4th Missouri, and the 2nd Tennessee, with Lieutenant Colonel Cook in command of the 2nd. On May 27, 1865, the regiment was ordered to report to Nashville, having arrived at Nashville on June 12, 1865, was directed to report to Lieutenant Colonel G. G. Miner, commanding Cavalry Depot at Edgefield. Edgefield was just across the river from Nashville, and is now a part of the City of Nashville. The regiment was mustered out of service on July 6, 1865.